“The General Public is reminded that in order to fish the flats, both guides and anglers MUST be in possession of a license. Licenses can be purchased from the Department of Marine Resources (New Providence) or any Administrator’s Office (Family Islands). The “flats” refers to any area of water that is 6 feet or less in depth. 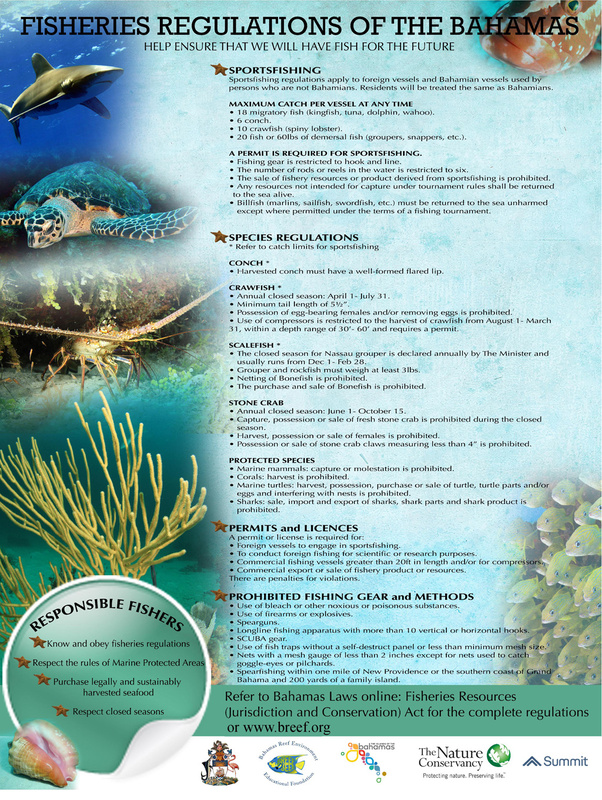 Be reminded that persons engaged in Charter Fishing must abide by the Catch Limits outlined below.